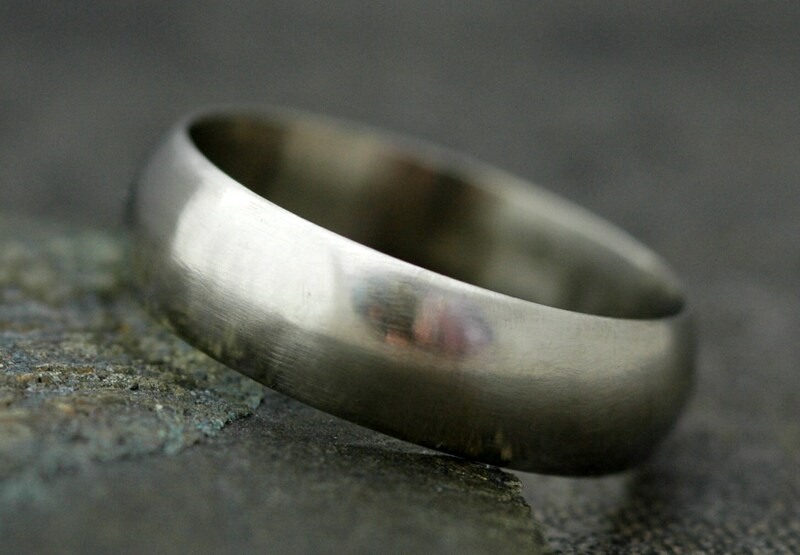 This ring is a substantial 5mm wide and 1.5mm thick. It has a half-round profile, with a nicely domed outer profile. 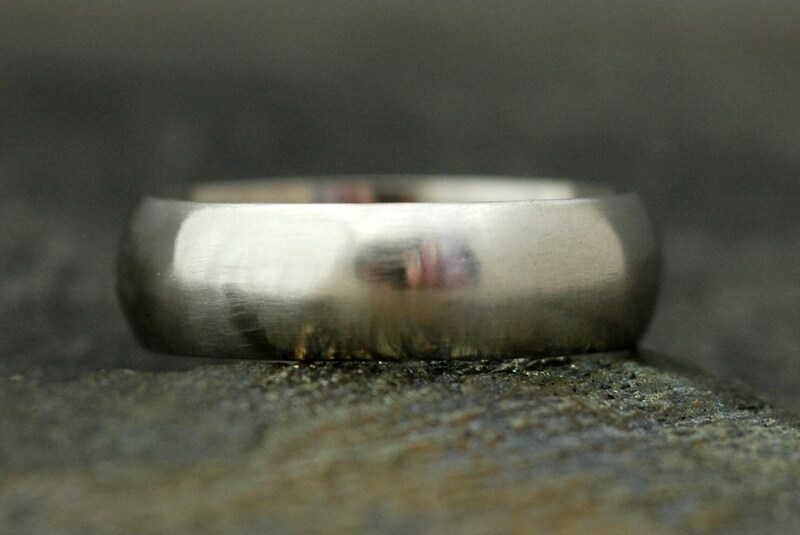 This ring is a custom order- please read my shop announcement for details on this. 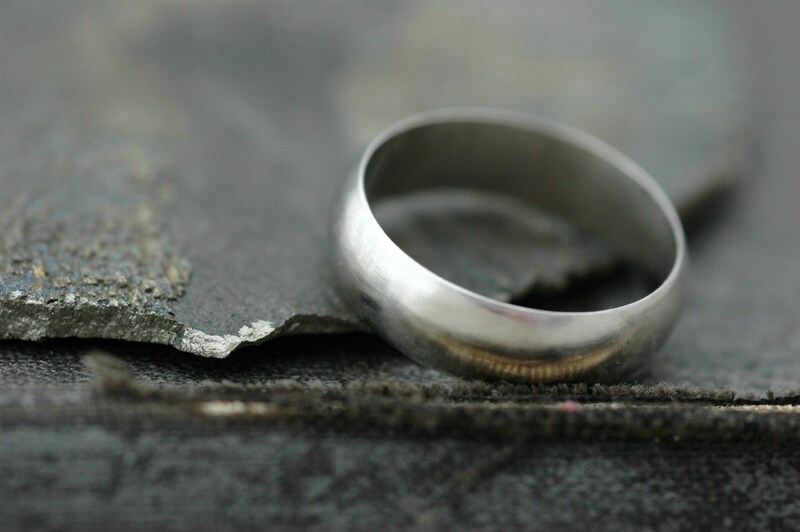 If you need your ring more quickly, please get in touch with me prior to ordering, and we can discuss your timeline. I build these rings from recycled gold. The ring shown in the photos is white gold, but yellow and rose gold are also available with this listing. Please note that ring sizes over a 10 will incur an additional fee. 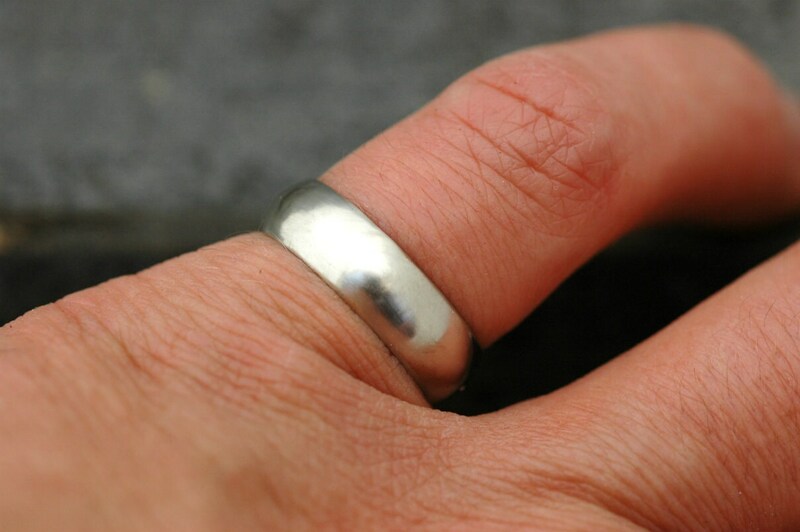 The finish you see on this white gold ring is matte. I can also create a hammered finish, water hammered finish, pinbrushed, high shine, microhammered, or handbrushed. Please browse my shop for examples of what these finishes look like.